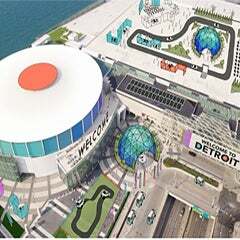 DETROIT – Monday, April 12, 2010 – The Detroit Regional Convention Facility Authority voted unanimously to award the food service and concession contract for Cobo Center to Volume Services, Inc., (d.b.a.) Centerplate. 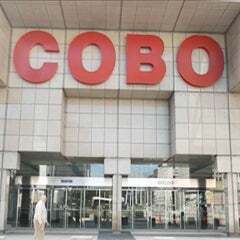 The seven-year contract will commence on May 16, 2010, replacing the 10-year presence of Aramark and its subsidiaries at Cobo Center. Under the terms of the agreement with Centerplate, the Authority will have the option to renew the agreement for one three year period. 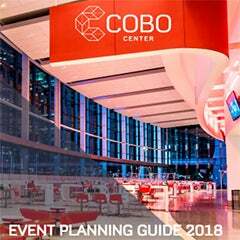 Catering, food and beverage service and concessions are primary guest services offered by Cobo Center as a part of convention and exhibition hall functions. This key area has been provided by Aramark in past years. The range of services include; catering dinners, banquets, mobile concession stands and coat check operations. Aramark’s current contract expires on May 15, 2010, which is why the DRCFA issued the RFP to open up bidding for a new contract. Centerplate is one of the largest hospitality companies in the world, with 250 North American sports, entertainment and convention venues. They are the largest food service provider for the National Football League, a major provider to the Major Baseball League, and partners with five of the top 10 most active convention centers in the country. Under this contract, Centerplate would pay the Authority a percentage of the gross receipts from food services and concession operations. The contract also requires Centerplate to make certain capital investments at Cobo will be amortized over the life of the contract.